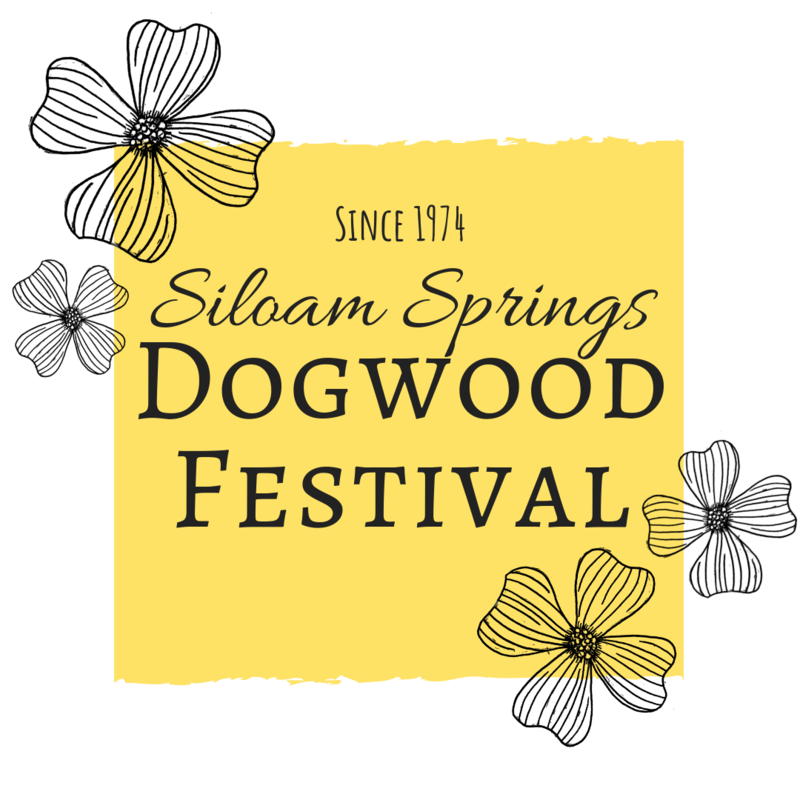 Share "45th Annual Dogwood Festival"
During the last full weekend of April each year, Siloam Springs blooms for the warmer months and comes alive with the Dogwood Festival. Attracting an average of 30,000 attendees to a town of around 17,000 is no small feat. Over the course of the 3 day festival there is so much to do, including shopping at over 100 vendor booths, grabbing traditional festival food and a few new things to try at the food court, singing along with our live entertainment, or racing to the finish line in one of our KidZone obstacle courses! Many native to Siloam Springs have visited the Dogwood Festival countless times over it’s 44 year history and even regard it as a favorite childhood memory. We also have a few vendors and items that have become staples to the festival including Billy Jack’s Root Beer, Shuckin’ Delicious roasted corn and Mitchell’s Kettle Corn. Just ask and attendees are quick to tell you what they come to eat year after year. This event is organized by the Siloam Springs Chamber of Commerce, a local non profit organization that supports business, the economy and quality of life for everyone in Siloam Springs. This event serves as their biggest fundraiser in order to better serve the community throughout the year. We of course would like to also give a shout-out to the countless volunteers that help to make this event a success each year. Whether it’s a contribution of materials, hours, or blood sweat and tears, this festival would not be possible without your help. So thank you, for all that you do for the Dogwood Festival, the Chamber of Commerce and for Siloam Springs. If you would like to be a part of the Dogwood Festival by becoming a member of the planning committee, purchasing a booth space in our festival, or simply by visiting the festival to support us, we welcome you to come and experience the family-friendly atmosphere that makes the Dogwood Festival such a great place to be.